Accumulate your 360° Rewards Points when you use your credit card and redeem for Royal Skies miles in blocks of 500 points. For every BND5 you spend with your card, you will earn 1 reward point. So the more you swipe, the faster you will get to redeem exciting rewards. 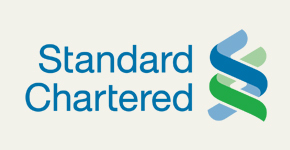 Standard Chartered Card member’s Agreement will apply. To convert your 360° Rewards Points to Royal Skies miles , please call +673-265 8000, log onto www.standardchartered.com/bn or visit any Standard Chartered branch today!